Bristol five piece Coasts are back with their second pop infused indie album. Looking at the track listing, you can already see the journey you're about to go on emotionally. Tracks such as 'Heart Starts Beating' and 'Come On Over' sit at the beginning of the album, you might argue this indicates a positive start to a potential relationship as opposed to the middle/final tracks 'Make It Out Alive' and 'Born To Die' that may suggest a darker tone - but we'll see. 'Take Me Back Home' kicks off the album with a sound reminiscent of the band's first album - fun, upbeat pop that you can't help but dance and move along to. Amongst the strong beats and guitar licks creating that typically Coasts summer vibe, attention to the lyrics of songs can sometimes be lost. I particularly liked the metaphor used at the beginning of 'Take Me Back Home' to illustrate sunlight coming through the window and its later use to conjure up a picture of a stunning sky. To me, this song is written from the perspective of looking back to when life was less complicated. However, the memories might be a tad embellished as they seem so perfect. Following 'Take Me Back Home' is the equally upbeat sounding 'Heart Starts Beating'. As the title would suggest, in my opinion, this song is about finding that one person that believes in you unconditionally and the wealth of emotion that this brings. Interrupting the guitar driven summer party vibes is 'Come On Over'. Starting with a darker toned piano and bass line, this track is different from the start. Building pulsed beats create a sense of intrigue until the first chorus hits. This gives you a chance to really appreciate lead singer Chris' smooth, emotion charged vocals. Before long the familiar bright guitars return but with a more mellowed tone. The break down in the middle of 'Come On Over' provides a sense of space and a break from the layers of instrumentation to create a well balanced track. Chris' vocals are showcased again at the beginning of 'Let Me Love You' where they are accompanied by a a simple drum beat and timid guitar. A powerful part of this track comes just before the main chorus when group vocals are introduced for the first time. 'If you just open up your eyes, you'll see the sun begin to rise. You won't be able to stop humming this one! Pulsing drum beats from the start with the addition of bright synths and group vocals during the chorus give this track a sort of tribal tone at times. With a mellow start, the dance vibes return at full power in the middle of 'Paradise', returning us to our relaxed summer feel. This continues through 'Make It Out Alive' . Slightly more atmospheric synths are added to a slow beat in the next track, 'Chase The Night'. I feel like this is one to sway your phone lights along to. A dirty distorted bass contradicts the light beginning to this track but compliments it perfectly. Interesting phrases litter 'Chase The Night', giving it a sort of reflective feel - especially when you really listen to the lines above, commenting on how the gold previously mentioned has become rusted. A metaphor for growing up perhaps? We're coming towards the end of the album now but the tempo is kept up until the very end. Arguably one of the most pop infused tracks (with a killer chorus) is 'White Noise'. One thing Coasts are very good at is creating song after song that you can imagine clapping, moving and jumping along to with your best friend at a gig, without a care in the world - that's the feeling you get listening to 'White Noise'. Penultimate track 'Tomorrow' starts off with a darker, more mysterious tone but actually has quite uplifting lyrics in places. In contrast to the majority of tracks on the album, the brighter guitars have been replaced by more of an edgy groove but high energy is still retained. 'Born To Die' closes the album with the same upbeat tempo we've seen throughout but with a set of arguably more emotional, sad lyrics recounting a relationship. I highly recommend going to see Coasts live if you can grab tickets to their upcoming tour (which is selling out quickly!) The energy and groove captured in the album is truly amplified on stage - Coasts are a band to watch. 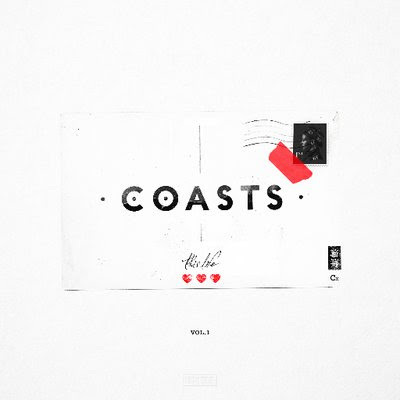 Find out more about Coasts here.